T’was The Night before Christmas ..
And acting the clown ……. And so out Christmas Eve nightshift had begun. In a completely RIPA free and clandestine movement, I’d diverted from my normal route to the nick to carry out some undercover surveillance of the High Street on the way in – trying to gauge to mood (and more importantly the numbers) on the streets of Chaos Town to mentally prepare myself for the night ahead. And yup, there it was; quarter to ten and the late shift (all two of them) were already breaking up fights and trying to coerce the more violent of the two into the relative controlled area, comfort and safety of the back of the ‘standard issue and completely impractical for any use other than the school run’ Vauxhall Corsa – the only working vehicle back at the nick and for which the keys had had to be forcibly removed from the sweaty and reluctant palms of a Community Support Officer who’d failed to grasp the concept that the need to preserve the peace and prevent persons coming to further harm was slightly more up the scale of important things than him tootling round trying to stop the kids playing football on the communal grass outside Primrose Gardens flats (the job he had been tasked with). I had no choice but to stop the car and given them a hand in controlling and containing their new best friend who promptly repaid the favour by seizing an available opportunity to sink his dirty, smelly teeth into the forearms of one of my colleagues. Ohh joy, I haven’t even started work officially yet and there’s going to be paperwork ! With the arrival of a police van and backup from another nick, we were able not only to transfer ‘Teeth man’ into the back, but also provide transport to the chap he was scrapping with who,instead of taking the opportunity to disappear from the location during the kafuffle and confusion, decided not only to hang around but to continue his attempts at world annihilation with every and any passing member of the public he could. Round One to us ! Walking into the briefing room a fair few minutes late due to assisting my colleagues on the way in did not even excuse me from the immediate torrent of abuse from my colleagues about my time-keeping, and even my pleas to the sergeant, who had already been made aware of my situation, had fallen on deaf ears. Nothing, bar nothing, it seems, stepped in the way of the ‘Late Buys Cakes Act’ and so I had no option but to accept the guilty verdict passed against me. And so the night began. What troops we had available, from both lates and nights, set off into the night to encounter yet another drink fuelled frenzy of less than civilised buffoons who clearly need to lay off the wine gums if they can’t handle them. Myself and big Pete, who had jumped in with me, never got to that job to join in the fun (although we were told later there really were twenty plus fighting for a change and it had taken quite an effort between the six officers that attended to restore calm and order even for a short while), as less than two minutes into our blue-light journey we were diverted to a Grade One domestic assault taking place on the other side of town. With a quick squeal of the wheels and a glance at the map book I always carry, we were about turned and on our way to one of the nicer parts of town where we very rarely get any calls. The Meadow Grange estate this wasn’t …. although the smartly lawned detached properties with flowerbeds and cars outside with all the windows and wheels still attached certainly drums up more feelings of streets that should be named after pleasant flowers than those in the reality of Meadow Grange. “Not been up here before” piped up Pete as we scooted along the road, trying to spot the property we were looking for. In most parts of town, it’s fairly obvious where you’re going …. the massively increased noise; hoodie wearing crowds outside in the street hanging onto their trophy Staffie Bull Terrier on a bit of rope with one hand, whilst on the other arm is the ‘Trophy Tracey’, ill-fitting tracksuit wearing; nose, ear and probably many other appendage pierced; can of cheap lager in hand, heavily pregnant girlfriend. The house of choice itself, will of course have the bins chucked over in the front garden, sorry patch of mud where no grass has grown for a very long time, and a minimum of half a tonne of compressed aluminium which were, until the previous two dozen domestics, clearly identifiable as Frosty Jacks or Stella cans. Not this time though …. the driveways here were lined with BMW’s and Mercedes, sprinkled with the odd Jaguar for good measure. Don’t get me wrong, domestic related incidents and violence occur in all walks of life, it’s not just something which afflicts the impoverished, but for good or bad, its fair to say we very rarely get calls to this part of town. As we pulled up outside the relevant address, I must admit to a double-take … there were no outward signs of disorder, no inkling of disarray, no hordes of nosy, interfering neighbours waiting our arrival, no camera phones on ‘pause’, holders hoping their wibbly-wobbly footage would earn them fifty quid from the local news channel. No, it was the epitome of calm and tranquillity … and there was a Bentley on the drive. Pete called up on the radio, much I guess to ensure we were in the right place (this may come as a shock but it’s not in the slightest unusual for police officers to be sent to completely the wrong address after a calltaker, many, many miles from where you are and without any local knowledge just types in the nearest sounding street name to what they thought they’d heard and hopes for the best) only to have it confirmed that on this occasion, yes the details were 100% accurate. The Control Room despatcher also told us they had played back the recording of the initial call and thought possibly it was a child calling so most likely an argument between the parents. As mum answered the door, I’m not sure who was the more surprised – her seeing two Ninja Turtle clad blokes in black on her front doorstep, or us seeing a rather glamorous lady dressed up to the nines, looking as if they were on the way to some posh doo at a top London hotel. Certainly not looking like a person who until several minutes ago had been in the throws of a nasty domestic. On explaining why we were there, m’lady called her husband “Dominic …. there’s two police officers at the ‘front’ door” (with quite and emphasis on the word ‘front’). “Blimey” I muttered to Pete “maybe we were supposed to go round the back”. Pete sniggered back “I’ll get a CAD warning done when we get back to the nick”. Dominic then appeared. A gentleman some considerable age older than the lady of the house, but equally well dressed in Dinner Suit and bow tie. ”I’m terribly sorry officers” he said “I think our daughter may have telephoned you, she does have a habit of getting rather excited if she doesn’t get her own way”. I spoke with daddykins whilst mummy took Big Pete to have a word with their darling daughter Natasha but it wasn’t very long before I heard Pete’s raised voice followed very shortly afterwards by him stomping down the stairs pursued by a very apologetic mother. “Of all the things …..” Pete was saying is one of his ‘not very happy’ tone of voices. Without saying a word to me, Pete turned to the father of the house and said “It’s half past ten on Christmas Eve, there are few enough of us on the streets as it is. I’m afraid Sir that we really don’t have time to deal with children ringing us up on the nines saying she’s being abused just because you won’t buy her ANOTHER pony for a present. We’ll wish you a Merry Christmas and leave you to speak to her Sir, madam. have a good evening.” And with that Pete was out the door before I could say anything more. The rest of the night shift was one complete blur of pub fight, club fight and domestic fight; the two interlinking factors in both being the words ‘fight’ and ‘copious’ as in the vast amounts of alcohol ingested by every single person we had the great displeasure of dealing with. Add to that more drink drivers than you could shake a stick at and the odd ruffian for one or another piece of criminal damage and you get the general picture. By not much after midnight, the cells at Bigtown were full, and we were having to take prisoners to Medbury, some 30miles away. it sort of focussed your mind a bit, worrying that if we had to make that journey, followed by a long wait to book your prisoner in, followed by the drive back, it would keep us off the streets longer than we liked and more importantly, leave your colleagues short staffed back at base. For that reason above any other we probably let go a lot more people than we would have done under normal circumstances, but it really was a case of flying by the seat of our pants ……. again ! Things hadn’t really calmed down by 4.30am on Christmas day morning, when we were mostly all back at the nick doing paperwork and handovers to explain why we’d spread half of the towns night-time revellers across four different cellblocks in a fifty mile radius when the next big job came in. A farmer out in the rural section was on the way to check his cattle when he’d come across an old van, well planted into an old wooden electricity pole, which was now dangerously swinging across a country lane. The power cables, once so neatly and professionally fixed to the upper arms of the pole were now dangling only a few feet above the road surface itself, and were putting on quite a spectacular light show all of their own; indeed when we arrived, we were most impressed and I must say, it was a far better show than last years bonfire night effort by the Bigtown Rugby Club – sparks and arcs of shorting light flew in every direction – mainly ours – and gave Pete and I the distinct impression that they really didn’t want us getting any closer to them ….. which was fine by us !! Having called the control via our radios, and asked them to get the electrical emergency people out on the hurry-up (at 4.30 on Christmas Day morning yeah right !! ), we then decided it was (relatively) safe enough to check the crashed vehicle for anyone still in it. Thankfully there was not, but things never being that simple, especially when we had every intention of not being late off from work that morning, there was a bit of blood around inside the van and even more empty beer bottles. So now we had a missing potential casualty, with injuries, and probably drunk, somewhere in the pitch black, at silly o’clock in the morning, with no idea how long they’d been out there, and no idea which way they’d gone. And on top of that, we had our own version of the Northern Lights right in front of us, and a farmer who cared for none of this as he had a couple of hundred cattle that not only needed checking on but would very soon need bringing back this way to the farmyard for milking. “Not this time they won’t be” Big Pete said to the farmer in a very lame attempt at bringing some humour to the situation “not unless you want to start producing flame grilled steak a-la-carte”. I don’t think the farmer saw the funny side in fairness. “How we going to find this muppet quick then ?” I asked Pete hoping for once he had some intelligent brainwave of an idea just bursting to get out. “Scratch me” he said “dogs went off at 4, helicopters not been running all night so I hope you got a good torch”. “Only one thing for it then” I replied as I called the Inspector up on his radio and broke the news to him that we would need every available man, woman and Senior rank (aka him) on duty to come and help find this guy before things got worse than they already were. While the Inspector did his best to rally us some extra troops and come up with the most plausible reason why he himself should not have to leave the relative warmth and safety of his office Pete and I, aptly assisted by the farmer and his son who had by now appeared on the scene set off to start a first cursory search of the surrounding lanes and fields. After fifteen minutes of getting very cold, wet and muddy, and finding absolutely nothing we reconvened at the scene of the crash to await for our reinforcements to arrive. And then our Christmas miracle happened. In the middle of nowhere, in the middle of the night, seemingly out of nowhere appeared Santa Claus ……. albeit not very podgy, and without the long curly white hair and beard …. and without the ho ho ho, but still, dressed in a santa suit came, or rather staggered, a very inebriated young man, sporting a very nice bump to the head and the odd scratch or two in other places. “F*** of you fat b*****d or I’ll f*****g do you right” came the short but to the point reply. “Bets are off” Pete shouted “can’t take your money on this one, too easy” and promptly informed our newest friend that he would be spending the majority of Christmas day as our guest at Bigtown Police Station. Now you’d have thought he would have been pleased about that; a nice clean, warm bed to sleep and sober up in; free food you didn’t have to cook yourself or wash up afterwards, and pleasant company, but no, ohh no, Muppet Chops had to want to fight the world didn’t he. So ….. at 5 o’clock on Christmas Day morning there we were, rolling round in mud, wet and god knows what else, on a farmers country lane with still the electrical equivalent of the Millennium Fireworks going off all around us. By the time another crew arrived to assist, and with the help of farmer & son, we had our man trussed up better than a turkey waiting for the oven. The other crew were happy to take our prisoner off our hands and into the back of our van, but weren’t so polite about telling Pete and myself that neither of us smelly, cowpat covered degenerates was getting anywhere near their nice clean police vehicle and that we should both go and find the nearest pond and jump in it to clean ourselves up before even thinking about returning to Bigtown nick. As they started to drive away, one of the guys stuck his head out of the van’s side window and shouted “Merry Christmas Chaos” and off they went into the night. “Yeah, and a stinking Merry Christmas to you too” I shouted after them, then turned to look at Big Pete who was in just as bad and filthy a state as I. What else could we do, but just stand there and laugh at each other. “Happy Christmas Pete” I said. “And the same to you with Jingle Bells on” was the reply. And we both jumped back into our panda, wound down the windows, and took a leisurely drive back to the police station to start another round of paperwork …..
TWENTY SIX innocent people, TWENTY of them aged just SIX or SEVEN years old lost their lives in a hail of gunfire within their own community school – a supposed place of safety. For those of us in the United Kingdom, it is something we can closely relate to. It’s not that many years since this type of evil visited our shores, when in March 1996 sixteen children and their teacher were shot and killed in the Dunblane tragedy in Scotland. Without going into the why’s and wherefores’ of the American gun obsession culture, it’s plain for all to see that tragedies like this will continue to happen until something changes. In the meantime, for the families and friends of all those affected by this tragedy, life will never be the same again. Christmas is cancelled; life as they all know it has been cancelled. Above all else, in this day and age, it’s a plain and simple fact of life that no parent should ever have to bury their own child. And also, don’t forget the trauma, pain and emotional scars that will be left on the emergency personnel who responded to this tragedy, the police, fire and ambulance personnel for whom no amount of training could have prepared them for what they were about to encounter. People quickly forget the first responders; those that are just ‘doing their job’ but as someone who has had to deal with one too many individual tragedies myself, I cannot begin to imagine how to begin dealing with a disaster on this scale. And then there were the people upon whom it fell to tell twenty six families that their loved ones would never be returning home again. So, what can we do to help ? In physical terms, two funds have been set up to help those left to death with the aftermath of the dark cloud which has beset this quiet corner of the United Sates. We are the parents of the children who survived. We are the classmates, friends, and the little league coaches. Sandy Hook is where we live — it is our proud community. We ask the world to join us not only in our grief but also in our burning need take some of the burdens off these families in their time of incredible pain. To bear their cross in some small way. We intend to use donations to pay for immediate needs, including funeral services, as well as ongoing living expenses such as food, mortgages payments, daycare, insurances and fuel until they are back on solid ground. Please help us help our own neighbors beyond sharing their tears. All net funds received will go directly to the families who lost children and immediate family members. If you can, and I know times are hard for all of us, but they aren’t as hard as they will be forever for the Sandy Hook families, please do make a small donation to one or both of the above appeals. A couple of pounds from each of us could go a very long way to relieving many of the extra burdens the families will have to face – and remember state aid and welfare is not as forthcoming in the USA as it is here ! As most of the readers of this blog will have some connection to the emergency services, be it police fire or ambulance, and most of us will have kids of our own, or even grandkids, consider yourself being on duty and listening to the radio traffic from the YouTube clip below coming through in real time. Ask yourself this – how would you react ?? Please repost this article on your Facebook and Twitter pages and anywhere else you can, to raise awareness and encourage others to help. 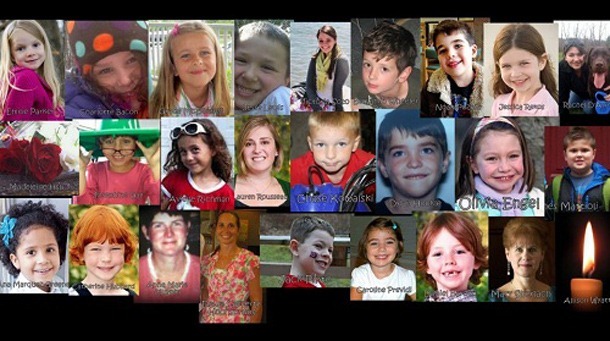 On Twitter also use the hashtag #TwitterCaresForSandyHook to show your support. Thank you. “Chaos” the Inspector called from his office as I was about to leave, late again, after another manic early shift, “Just had the DI on the phone, can you and Pete get in early in the morning, they need a door man for some job or other they’ve got on”. “Not a chance of them offering that I’m afraid” the Boss quickly replied, “but in an hour early, finish and hour early is best I can give you. If you want it, ring the DI back and he’ll fill you in”. Oh well, I thought to myself, we don’t get that much chance to play Neanderthal man-beast these days, so any opportunity to take our little red friend ‘Nigel the Knocker’ out for a spin is always worth a shot. i quickly called Pete on his mobile as he’d already left the nick, to make sure he was up for it, before calling the DI back to find out where we needed to be and what the score was. In typical CID fashion of course, it was all a big secret. They’d had some good intel yada, yada; new location, never come to our attention before; they’d managed to cop hold of the services of an actual, real life, airborne police helicopter, returning from one of it’s long-range bacon butty buying (sorry training) missions, to do a fly over and confirm lots of heat coming from an outbuilding at the property, and based on all this, they’d been able to convince the local Magistrates to issue a search warrant. Anything actually useful to our role of course, they weren’t willing to divulge for ‘operational security’ reasons. Now dear reader, you may mistakenly think that bashing a door in is a simple task … but you would be very wrong ! In an emergency yes, if we arrive at an address and there’s a dear old granny collapsed on the floor needing urgent medical attention, one way or another we are going in as quickly as possible, irrespective of whether we are taking the door and half it’s surround off its hinges or not. Much as most of us who are ‘Entry Trained’, actually in this day and age I should say the very few of us, would argue it’s far easier and less damaging to put a decent sized window in, this is much frowned upon by the Armchair Cavalry as being too risky, and anyway, you need ‘Higher Level’ training to do that. That said, If we turn up and are presented with the above scenario, and a window is the best option, it’s going in. Getting medical help to a potentially critically ill casualty is more important in my book than ticking the right box for HQ. However, with pre-planned operations, it’s a different matter. You have chance to think. You have chance to decide the best way to go forward. There’s bits and pieces of info which are vital to make sure everything goes smoothly; stuff that you need to know if you’re going to be at the front of the Team – most of it plainly obvious, like can you get to the place without being seen and even more simple – what’s the door made of ?? But, in the interests of CID importantness, that was all top secret. One bit of info that the DI did concede to me after I’d agreed that Pete and I would give up an extra hour of our middle of the night beauty sleep was that the job was happening, as was the briefing, at Medbury, the county town and almost 30 miles away from our nick. That meant we’d have to be in even earlier, to collect all the kit we needed, purloin a van and get over to the appropriate police station for 6.30am – good game, good game ! We did of course, get to where we needed to be in good time, and it surprised us not at all that we were the only people who had managed that feat ! The local CID bods rolled in 20 – 30 minutes later, most of them looking like rejects from Miami Vice, mainly clothed by Man at Primani rather than a big city boutique. One of them even managed to walk in wearing the obligatory Ray-Ban shades (or more likely a cheap copy of). “Bet he’s the undercover guy” Pete giggled to me not so quietly that everyone else couldn’t hear too. “Alright Mate” he continued “too sunny out there for you is it at half six in the morning ?”. Oddly he didn’t get a reply. Pete and I of course, had dressed for the occasion as well. We were both set up in full Public Order kit with NATO helmets and arm guards at the ready as per force policy. Actually, it makes you look the business and don’t half stop you getting covered in broken glass and splintered wood when the inevitable happens and Nigel wins the war with the door. We’d even brought along Bigtown finest (for that read least rusty) Public Order Van to make sure our presence was known. Okay, okay, it was the only vehicle left in the yard that wasn’t broken or have bits hanging off !! After a little while longer, certainly longer than if we’d turned up at 7am for our normal shift start time, then got ready, found a van and driven over to Medbury, the DI rolled in, all smart and sophisticated in his compulsory ‘wanna be one of the lads’ Diesel T-shirt and a pair of jeans, clearly purchased especially for the occasion as both garments still had telltale creases in them. He went through the usual Op Order waffle; proportionate, necessary etc, etc, told us all about the high grade anonymous intel from the neighbours (not very anonymous then !! ), about the info provided that probably a dozen or more plants had been seen growing in an outbuilding, the helicopter photo’s showing the heat source where the factory was going to be and then up in front of us came the dreaded Death by Powerpoint Presentation, all complete with nice photographic images of the approach to and of the target premises. Not working Medbury it didn’t mean a great deal to us – all we wanted was a postcode for the sat-nav Pete had brought with him so we knew where to go – but we were both sure the local guys and girls present welcomed this egg-sucking insight into their patch. Clearly a lot of research into this job had been carried out as all the pictures were lifted straight from Google Maps which, as I’m sure you’re aware is pretty good, but the maps and StreetView aren’t constantly updated and when, like this instance, you are looking at images dated from 3 years ago, it makes you giggle a little when one of the local CSO’s (also press-ganged into making a special appearance to offer ‘community reassurance’) politely pointed out that the school shown on the screen on the street corner was knocked down 2 years ago and is now a block of flats; that the nice little cul-de-sac was now a through route with traffic calming measures and that, having worked that area for several years, they certainly weren’t aware of anyone new moving into the street. God how I wished at this point the CSO had done the briefing !! Anyway, mine and Pete’s simple questions about which door we were going in through and what it was made of drew a few blanks, then the DI piped up “Doesn’t matter to us, that’s up to you, that’s why you’re here. All we need to do is get in as quick as possible before they dump the gear”. “Correct me if I’m wrong Sir” I said, “but I thought we were dealing with a cannabis production set up in an outbuilding – so why are we looking at forcing the front door in the first place ? They’re hardly likely to be ripping the plants up and stuffing them down the toilet” A simple question so I thought. “Because Constable” came the patronising ‘I’m an important DI who knows these things and you are definitely not‘ answer “dealers, as you should know, do not just deal in one thing, they will most likely have other stuff, Class A for instance, bagged up in the house”. I couldn’t be bothered to argue the point that if anyone these had the slightest inkling of that being the case, I’m sure it would have been mentioned well before now. With briefing over, and the DI telling everyone to RV with their vehicles in the back yard “in 20 minutes”, Pete and I wandered off on our own, muttering many things I won’t mention on here about our thoughts on this operation and they way it had been planned. My personal radio started beeping and it was our own Sergeant back at Bigtown checking on how things were going “You lads on the way back yet ?” he asked, working from the very logical assumption that as we’d been on since six and it was by now nearly 3 hours later, we would be done and dusted and on our way back to double the number of officers he had available to police our own town. He wasn’t mightily impressed I must say when I informed him “We haven’t even left their nick yet Sarge”. Eventually we got underway, and left in convoy with us in a Riot van, three CID cars, a dog unit and two CSO’s in their car to do the ‘pacify the community bit’. We must have looked a good sight driving through the town of Medbury. In fact the CSO’s did tell us later we’d been led halfway round the town and back just so their DCI could show his little parade off to all who could be bothered to take notice. I don’t think either Pete or I had clocked the oddity of the location that we arrived at when we stared vacantly at Slide 14 of the Powerpoint Presentation but as we pulled into the street, the homes there didn’t half resemble a load of Old Persons bungalows to us. Clearly we’d been too busy musing at how the CSO had unwittingly destroyed days if not weeks of ‘effort’ by some DC’s into putting this job together to work out it looked like we were about to turn over Grandpa Joe’s house. When we got to the target premises, the ramp and railings up to the front door didn’t really do much more to instil confidence in Pete or I that all was going to go well here, as nor did the Common Room and Wardens Bungalow opposite. “Well” said Pete “Maybe the grandson’s visiting and doing a bit more gardening than the old guy realises”. “I reckon you’re probably right” I replied “something just doesn’t feel right here”. Before we could say any more, the front door of the bungalow we were about to take off its hinges opened, and a little old man, probably in his seventies came out, with his little Scottie dog on a lead, complete with tartan coat on, to go for their morning constitutional walk. “Problem One solved” I said to Pete as we both whipped off the helmets and arm guards and were about to hop out of the van. We already looked enough like a pair of Ninja Turtles as it was – there was no point in further scaring half the neighbourhood to death. As we did get out of the van however, a swarm of CID heroes jumped from their cars and surrounded the poor old bloke, virtually I would think, giving him a heart attack. Certainly they scared the living hell out of the poor Scottie as it tried to wreak its revenge by snapping at any available leg in range. “What” said the poor chap “I may be getting on a bit but I’m not saft, you’re at the wrong house sonny” Undeterred, the DI carried on, informing the old guy that he was being detained whilst this search was carried out and that he might be arrested. Me and Pete stood back at this point, not really wanting to get in the firing line for the complaints that were surely going to come from this impending disaster. As two of the DC’s led Mr McDonald back into his house the DI called back to Pete and myself. “You two want to go and check the outbuildings out back and take your gear in case you have to break the door”. That suited us fine; we were more than happy to let the shining stars of the Medbury Detectives Department do what they wanted inside the house. We were also both in agreement of Pete’s theory that there must be a younger, maybe son or grandson, that was doing the production in the old chaps back garden, very probably without him having the slightest clue about it. Our next problem arose when we got into the back garden. We couldn’t see an outbuilding. There was a greenhouse halfway down the garden, but nothing made of anything more substantial than some cheap glass and an aluminium frame. And then Pete started to laugh. I looked over and then I started to laugh as well. “Go on, toss you for it” said Pete. “For what ?” I asked. “For which one of us gets the privilege of breaking the good news to fly boy in there”. I won the toss, so into the bungalow we went, Pete almost launching me through the back door such was his excitement at wanting to see the look on the DI’s face. All their preparation and planning, all their hours of convincing themselves what a great job they had done putting this together, and I was about to bring it all crashing down even quicker than the local CSO has destroyed their briefing package. “Sir” I said “You’d better come and look at this”, trying to look serious and professional, all the while with Pete humming the Looney Tunes theme just loud enough for me to hear. “You found it, well done” the DI quipped “Right, he said to one of his DC’s we’ll have him in for production then” “WAIT A MINUTE” I interjected quickly before things got really out of hand, “follow us into the garden boss”. Pete had nipped on ahead by this point, and as we stepped out of the back door, he was proudly stood there, in a silly ‘typical Pete’ pose, framing with his extended arms, Medbury OAP Bungalows biggest ever cannabis production facility …… or to you and me, a small greenhouse, with a couple of greenhouse heaters and a single light blub in it …. 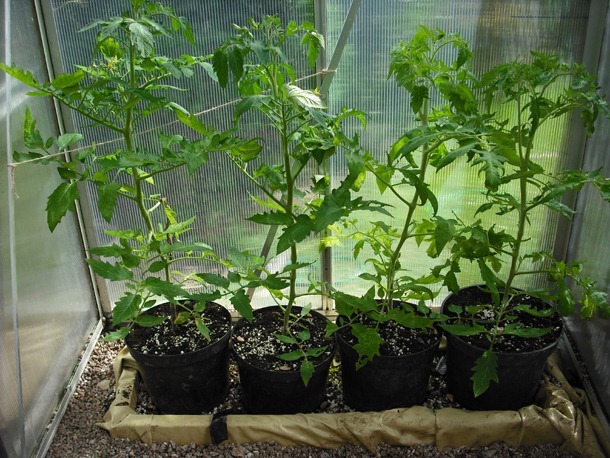 ohh and a dozen or more prize tomato plants happily growing to themselves !!! “Right Boss” I said “We’ll, errr, be off back to our nick then, you won’t be needing us any more then”, and rapidly headed towards then back gate and the safety of our waiting van. As we passed Mr McDonald, who in all fairness, looked completely bewildered by the whole situation, Pete said to him “Sir, we’re really sorry about all this, but I’m sure the chap over there (pointing straight at the DI) will be able to explain everything to you. “Don’t worry lads” he said back to us “I’ll be the talk of the club here for weeks now”. “Maybe do me a bit of luck with the ladies” he added with a smile and a wink. And with that we left. And couldn’t stop laughing at the buffoonery of our CID colleagues the whole journey back to Bigtown. Just another job ? Not a chance ! This clip was shown on the BBC Traffic Cops programme in December 2012. It shows the reality of what our frontline police face on a daily basis, in any town, in any part of the UK as a routine traffic stop in the middle of the day goes very badly wrong. And just imagine if the police officer was single-crewed ???? Thanks to @kenworthy39 on Twitter for highlighting this clip. WARNING: NOT PLEASANT IMAGES IN THE VIDEO !! Based on a concept conceived in 2004 by Deputy Bret King from the Multnomah County Sheriff’s Office in Oregon, a new anti-drug advertisement from the American group ‘Rehabs.com’ shows the devastating physical transformation addicts experience after years of meth use. Back in ‘94, the officer began tracking mugshots of people who were brought in to police custody more than once. Over the years he began to witness the physical transformation that occurred in methamphetamine addicts. 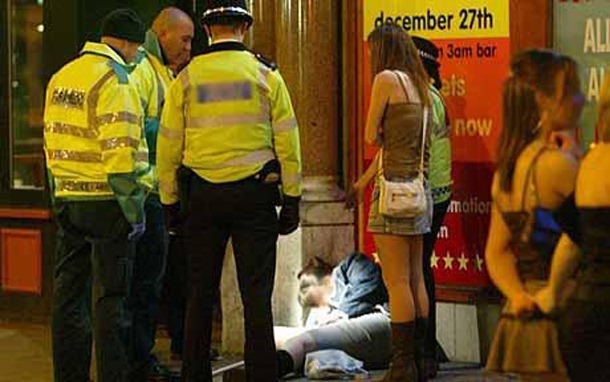 He decided to compile the photos for an anti-drug campaign in December 2004 – to educate children on the realities of the drug. In the latest ad the photos were compiled from mug shots of ‘Meth’ drug users that were arrested repeatedly over the years. The continued drug use caused horrific damage to the drug users’ skin with sores and scarring – that can be caused by uncontrollable scratching during a hallucination when the addict imagines bugs are crawling under their skin. Additional changes seen include the so-called ‘meth mouth’ caused by decay and grinding. Users also progressively began to look gaunt, brought on by malnutrition as the drug suppresses a person’s appetite and the body can begin to consume muscle tissue due to the lack of proper nutrition. And the question …. Should we start showing videos like this in school and colleges here in the UK to try and make it plain and simple the effect drugs can have on you ??? I’ve reblogged this excellent and informative piece onto my website for info as cuts to Police Helicopter Services seem to be cropping up again. Bear in mind it was written on the day the new ‘National Police Air Service’ (NPAS) started so should now be read in the past tense. There are some basic facts that need to be cleared up. You wouldn’t think “facts” needed clearing up would you because they are facts; the truth and therefore should be clear to all. Unfortunately Mr Green the Policing Minister has either been misinformed or is not telling the truth.